Front Page News News and Rage3D articles as it appears on the frontpage. Those of you that have been anxiously waiting for the official release of Steam hardware to go with that SteamOS can finally relax. You can now get your hands on the Steam Controller, Steam Link, and a variety of Steam pc's. Check out the rest at Tom's. It’s been a long wait for Valve’s Steam Hardware, but the day is finally here. You can now get your hands on the Steam Controller, Steam Link, and a variety of Steam Machines to bring PC gaming to your TV screen. Last month, Valve release a limited run of Steam hardware to early adopters that jumped on the first pre-orders of the hardware. 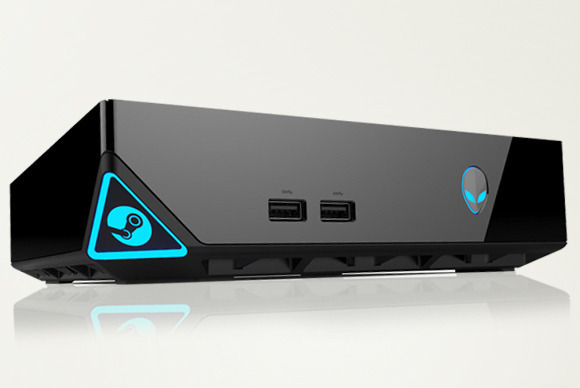 We recently published an early hands-on report about the Alienware Steam Machine and Steam Controller, which was based on the hardware that early adopters would have received. Today, you can pick up the hardware for yourself. Valve’s Steam Controller is a gamepad with a very unique layout that Valve said is better for PC games than a traditional dual-stick gamepad. The controllers are available for $49.99 and can be ordered from the Steam store and on Amazon, or you can pick one up in person at GameStop, GAME UK and EB Games stores. Valve has partnered with these retailers to have dedicated Steam sections where the hardware will be sold. These stores will also carry Steam prepaid cards that can be used for game purchases. Are the lines forming around the stores? Excitement building with folks running through the store and fighting over the boxes and game download cards left? This might be Valve's first big failure. You are joking, right? I can't actually tell if that's sarcasm or not. An arrow can only be shot by pulling it back. Remember when life is dragging you back, you are just moments away from springing forward.